The Younger is an angry elf. And if he didn’t eat every 2 hours, he is HANGRY! I crumble when I think about the hormonal teen years being more difficult than these so-called “fun years while they are young” that I’m suppose to be enjoying. Our relationship was suffering and my heart was breaking. I was really really really really hoping and praying that Year 8 would bring some sort of emotional growth spurt. When 8 1/2 came and went and there was NO IMPROVEMENT (in fact, it got WORSE!! ), I knew something was not natural and I needed to do something different before I went insane. In praying for guidance for teaching styles and therapy routes for The Elder, I discovered the wonderful site by Dianne Craft: Solutions for dyslexia, dysgraphia, and struggling learners. Hands down the best program for him. Separate post on that blessing to come. But the miracle on topic here is her lecture on the Biology of Behavior. Described The Younger TO.A.TEE. I purchased most of her store in late November and it arrived in December and I was completely overwhelmed!! I thought that starting with The Elder was a higher priority because he was getting farther and farther behind academically. The plan was to get The Elder started and then I could focus on The Younger starting the new year. Not sure that was a wise choice. The power struggles and mood swings were so rampant that I’m sad to say that I just did not enjoy the Christmas season this year. I usually don’t mind that our extended families are all over the US/World because it was just a magical time to spend with the kids. This year…we did NOTHING outside of church activities. We barely even did school. No cookies. No gingerbread houses. We did decorate, but I sort of just gave them the stuff and was like, “Here. Go decorate.” I was mentally and emotionally spent trying to walk on the eggshells. I listened to so many audiobooks (mmmm, headphones…) and did a lot of yarning to go off to my happy place, at the sacrifice of spending quality Christmasy time with my family. Boo. Well, we did make a birthday cake for Jesus. Yay. At least we remembered the reason for the season. Well…I listened to the Biology of Behavior lecture Christmas night after the kids were in bed, went out the next day and purchased the bare minimum to just get started and started the program THAT NIGHT. Today is exactly 5 weeks later. I like to call it Nutritional therapy, because calling it Behavioral therapy makes me sad. Every week, we add a new supplement for 8 weeks. Then we are supposed to continue for 3 months. I’m not sure if it’s a total of 3 months or 3 month of taking the whole she-bang. I need to email Dianne to find out for sure. The third week we “detoxed” from sugars. I say “we” not to be royal, but because I have been doing it with him as recommended by Dianne Craft. I say “detoxed” because although we’ve been strict on cutting his carbs (just recently adding in organic brown rice and a dab of organic ketchup for his meats), he can eat fruit with protein (e.g. apples and sun-butter, plain yogurt with strawberries) and he does get “one dessert a day” which can be anything from a DumDum to a cookie to a scoop of ice cream. But he has gotten to where he doesn’t crave sweets like he used to. In fact, he has gone 2 days in a row without a dessert. True, I have seen some improvements in the frequency of his angry moments, even in the first week. Then he needed less help recovering from his outbursts. Then he was making choices to prevent meltdowns. Then he just was just not melting down. The Elder is behaving better, too, although he’s on a Lite Version of the program. They are getting along and playing TOGETHER like best friends. The Hound Dog even senses it (maybe a chemical change she can sniff??). She is less jittery around The Younger, and THANK THE GOOD LORD has stopped barking at him incessantly!! Tomorrow we start week 6 and as I was setting up the new chart to add the next supplement into our routine, I look at my SMILING boy who is fetching The Hound Dog some water for her bowl. M: How has your week been with the new supplement? M: Have you felt any different? Y: Happier…… Let’s go cuddle. 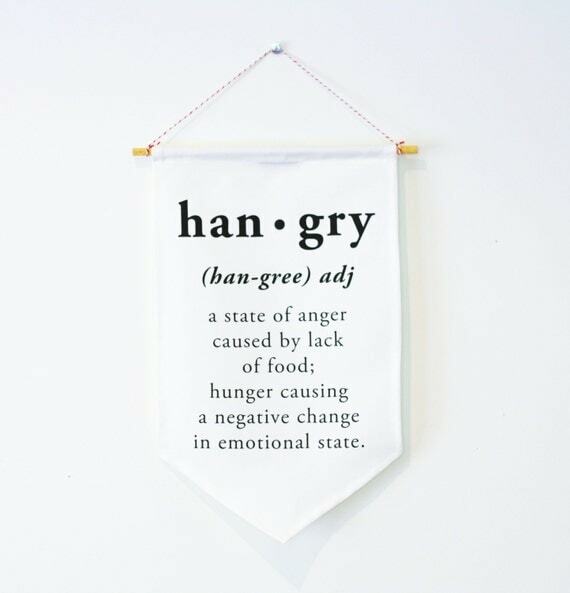 Move over Hangry….Now there’s something Happier! In the latter process, the Pleasure or Joy truly is a reward because even though we know how yummy and tender a crock-pot meal will be when we set out to make it, we still beam with Excitement when we cut into the meat and it falls apart, we moan with Joy when that first bite just melts in our mouths. The Patience part can still be hard for some of us who are tempted by the aroma, but we know that it will be worth the wait once it’s ready (plus it’s still uncooked – gross). Mood relief has definitely been a crock-pot process – much longer for me, so my hope is that I can shorten the process time for others. But it does take time. I was on the “culprit” medication for 3 years. I am giving myself 3 years to be off of it for me to expect to be back to “normal” (after that I just might lose my Patience!). I have about 8 months to go!! But I already feel more and more like my old self every day for the last 6 months! I speak in terms of detoxing off a prescription, but the fact to remember is that my moods began before meds (thus the “need” for meds). But with the research I’ve done and the experiences I’ve had, I’m confident that I’m on the right path to healing and have put The Brothers on the right path to health. I still learn something new everyday, but everything seems to be flowing in the same directions and I can’t wait to slow-cook these bad moods right out of my life! So let me just tell you the answer first, and then backup and detail the solutions that might also work for you like they have worked for us. This is truly a cycle and it can be either positive or negative. And depending on circumstances can be a downward spiral. Bad Day –> Bad Choices –> Bad Food –> Bad Mood –> Impulsive Choices –> Impulsive Eating –> Impulsive Beliefs (Fear) –> Wimpy Feeling –> keep–> spiraling –> down –> ward –> until –> you –> burn –> out. It’s hard to pinpoint where on this cycle we enter. The tricky part is that “Choices” can involve both mental AND physical. First you think it, then you do it. But “Choices” can also involve neither. For instance, you don’t have an opinion on a topic, therefore you might be complacent. And “Choices” can also just involve one of the two. Like, you don’t think before you act. Or, you think about it all the time, and never make a move. I believe it really depends on our Habits because our Habits are like our masters that we blindly obey. Mental Habits are automatic thoughts/associations (like I think YUM when I hear the word “chocolate”) while Physical Habits are automatic actions (like I put my keys on my desk when I come home (in theory)). Instinctively, I want to jump from “Choices” directly to “Mood/Attitudes/Beliefs” (perhaps a bad Habit?). I tell myself, “I just need to get over it. God has given me so many blessings, why can’t I just buck up and appreciate them? From now on, I CHOOSE to be happy/joyful/thankful/fill-in-the-blank. And to celebrate my new great attitude, I think I’ll sit on the couch and eat some of this comfort food over here so it won’t be so painful.” Sound familiar? (please say yes.) Wrong direction, Jen! Derailing! Back it up! What doesn’t seem intuitive me, but I’m quickly learning to be true, is that if I direct my Good Choices in the direction of what I do for my Body, my Mind follows suit, naturally. And something about the natural flow of that soothes my Soul. Bottom line, we must take better care to nourish our bodies. Maybe even, I daresay, make it a higher priority than nourishing our minds. Because when we nourish our bodies, we give life to our minds. It’s hard to nourish a dead mind…in my opinion, at least. The good news is that we can make a U turn at Choices whenever we want (and as often as we need to) and get going in the proper direction. Good Choices –> Good Food –> Good Mood –> Better Choices –> Healthier Body –> Healthier Mind –> Healthier Spirit –> Stronger Person!! In upcoming posts, while I’m sharing some strategies that are working for us, I’d also like to debunk some myths about nourishment. I know from our experience, nourishment is not hard to find and it doesn’t break our budget – two common concerns I hear from others. I’d like to share how we find our food and how we afford it. What are some other myths or obstacles that hold you back from taking better care of your body? Please share your comments and feedback! I’m anti-prescription when it comes to treating mood issues. I’m not against it for other people IF it is working for them. In fact, I wasn’t against taking a prescription myself when I thought it was working for me. The problem was that it was working against me, and I was blinded by the short term relief I felt when I started the regimen. Once I realized I was adversely reacting to my meds, I worked with my doctor to wean me off one, and then a year later said buh-bye cold turkey to the rest of them. It’s been almost 18 months that I have been 100% medication free! Including NO tylenol et al, NO allergy meds, NO vaccines, NO antibiotics – nothing prescribed or over-the-counter. Yay for me! I do believe that I have earned my moods swings. After all, parenting is tough. Parenting special needs kids is tougher. Plus an Aspergian (a very adorable and loyal and all around great guy, I might add) for The Hub and that’s the tune that gets my moods “just a swangin’!” And when I swing, I take The Hub and The Brothers with me. Unfortunately, a family that swings together does not swing together, if you catch my drift. I’m proud to say, not one of us uses medication on a regular basis. The Hub and I are both 100% med free. The Brothers are 99% med free (allergy season is a bear in our region). I have been working on my diet for the last 18 months, beginning with a clean slate (literally, I fasted for a few days). It was then I took out red meat and soy and some other things. NOT because I didn’t like eating them. NOT because I had an adverse reaction to them. I only took them out because they are so hard to digest and digestion takes up energy and I wanted my body to use its energy to HEAL, not to digest. I knew it would be temporary when I started but, I got a hold of some resources that made me so glad that I stopped eating them (The Omnivore’s Dilemma, for one). Very good and important information that everyone ought to know, but now I know it’s only part of the story. And to stop there is very dangerous – to me and the victims of my mood. In the next couple of blog posts, I’m going to share some of the remedies that are so far working for our family. I set out to fix my own ability to cope with my circumstances and discovered many overlaps for each member of our family. If you could use this information, please include comments/feedback for me to address in the sequels of this post.